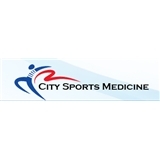 City Sports Medicine (New York) - Book Appointment Online! City Sports Medicine is a private medical practice specializing in spine and sports medicine. We take a team approach to caring for and treating our patients. We believe this approach is the best way to effectively manage your injuries as you recover. Our multidisciplinary staff includes a team of board certified physicians and licensed physical therapists. Our treatments center on conservative non-surgical approaches to help minimize your pain and restore your body’s function back. Very thorough, took the time to answer all my questions. Craig was unbiased in his recommendations for my injury. Highly recommended.